The Pinnacle AD is Workrites arm with the greatest range. It includes thoughtful features found in our Pinnacle family like Lift-n-Lock for re-positioning and easy tilt adjustment with a built in tilt gauge. 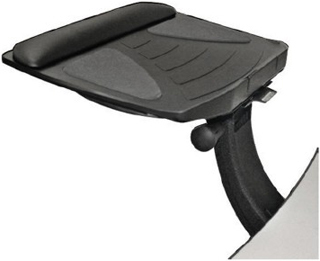 Ideal for situations where above desk keyboard platform is desired and stowing the platform under desk is convenient.